Trained in wildlife and fisheries biology, Jim has been a nature photographer for the past 10 years and works with Nikon Equipment. He was a Goldenrod Foundation Artist in Residence from 2007 to 2009. At this tenure, Jim explored the annual cycle of seasonal residents, breeding and nesting species, and long distance migrants. His keen and patient eye captured his subjects in the at of foraging, breeding, raising young, protecting territory and resting for their marathon migratory flights. The images he took were the highlights of an exhibit that featured the birds of Plymouth Beach. Jim has been highly awarded in local, regional and national Photographic Society of America affiliated competitions. 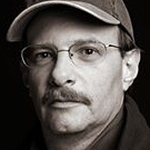 The images he created have appeared in numerous publications including the Massachusetts and National Audubon Societies, the US Fish and Wildlife and numerous magazines. Recently relocated to Northern Virginia, Jim is looking forward to exploring the many natural wonders that the region has to offer such as the rapids off Great Falls Park, the lush Shenandoah Valley, and the mountain ranges west of the DC area.
" I receive joy each time I view a work of art from Jim Fenton. I highly recommend owning his works of art. These latest pieces are very emotionally moving..."
"His art is imaginative, creative, and moving..."